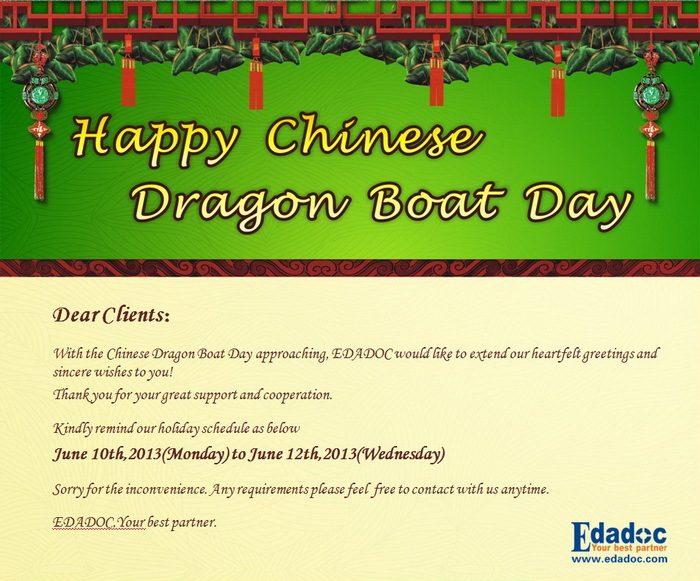 With the ChineseDragon Boat Day approaching, EDADOC would like to extend our heartfeltgreetings and sincere wishes to you! Thankyou for your great support and cooperation. Sorry for the inconvenience. Any requirements please feel free to contact with us anytime. Prev：Edadoc Hosted its Annual Year End Party of 2018!